All of this has great influence on and impacts the Muslims living in India, especially the children and youth. The parents try to teach Islamic values and morals to the children, hence children are to maintain these values at home environment. Outside the home, the children are in a totally different environment. 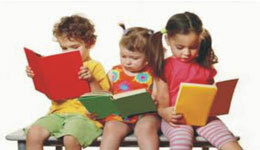 At times the outside social environment is in opposition to what Muslim children are learning at home. As a result of this conflict, children are fighting a psychological battle in their minds. Islam is very deeply concerned with the welfare of human society and the family is considered to be the cornerstone for building the right society. Raising children in this culture and expecting Islamic values from them is a unique and very tough challenge. Muslim families are at a disadvantage in meeting the psychological and spiritual needs of the children. Giving more religious teachings to children at home is not enough. The most essential element is to establish an open channel of communication with the children. An effort should be made to create an environment wherein children should not hesitate to say to their parents their thinking and feelings. Muslims must guard their religion and values and beware of this great danger and this widespread evil. 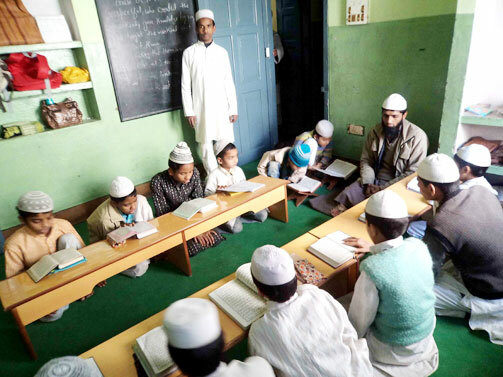 Presently, "Madarsa Bibi Khairun Nisa", Hajipur, Vaishali (Bihar) and "Darshgah Banat-ul-Muslemin", Nasriganj, Danapur, Patna is running under the society. There are 150 children are studying in both Madarsa. Society are providing Free Food, Cloths, Books, Technical Education for Orphan & poor students of Madarsa. Al-Hind Educational & welfare society offers "Hifz programs" for children who would like to memorize the Qur'an. The Al-Hind Educational & Welfare Society is an organization objectively teaching the authentic knowledge of the Religion as taught by the Prophet, and preserved and passed on through the trustworthy followers of each era. 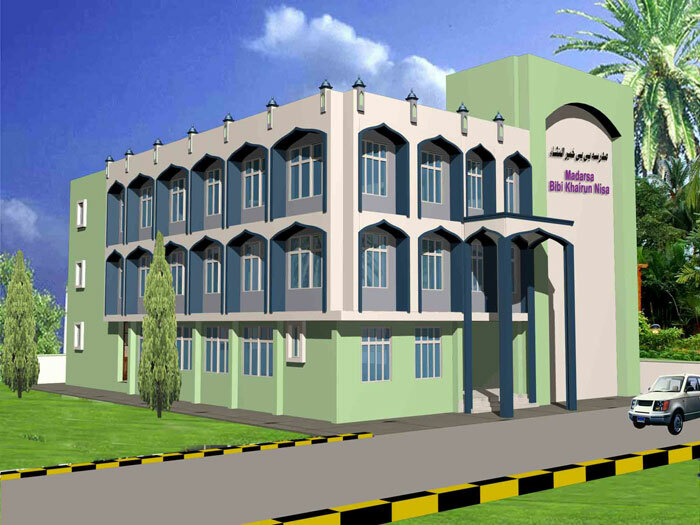 Aims to give Islamic education to Muslims of the India in general. Al-hind has assembled a group of scholars and professors to teach, write, and translate from traditional sources of Islamic knowledge by authentic scholars of the various schools of fiqh (madhahib) and `aqida. The aims to preserve the Islamic identify of Muslim women and children, and face all plans aiming at stripping them of it; to present prestigious value of women in Islamic Sharia'a; to improve and promote Muslim women in all areas through symposia and training programs; and to unify exerted efforts of Muslim women organizations and entities that represent women and children. The organization is providing Islamic education among the Muslim / Non-Muslim communities. Moral and Islamic orientation is a specialty of activities undertaken by the society, which could see in various project run by it. There is an added emphasis on contemprization of Islamic values. The Students and beneficiaries are expected to fulfill a certain level of qualities in this regard. This target is achieved through observance of regular prayers, teaching of 'Quran' and 'Sunnah' and imparting of moral lessons. To safeguard and preserve the identity of the Muslim and to promote the idea of religious tolerance and peaceful co -existence with other religious communities in India. To strengthen the force of peace in the country and to develop the sense of mutual respect of the rights of different religious communities living in India. To construct / re-construct / renovate place of worship (Mosque) to observe offering prayers. The main reason for its inception is to build a mosque and start madarsa classes for the children. It promotes efforts toward safeguarding the religious identity of the future generation of Muslims through its religious educational programs and community building activities. It aims to assist Indian Muslims in preserving their religious heritage and customs, while creating a sense of community amongst followers of Islam in the Puget Sound area. On a yearly basis, during the holy month of 'Ramadan", Al-Hind Educational & Welfare Society provides social assistance for downtrodden families Orphans, street children, widows disabled people and many other needy living below the poverty line receive Ramadan packages to enjoy the beauty of the blessed month. 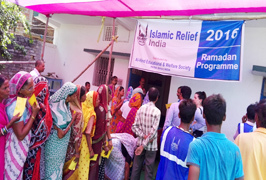 The Ramadan meals, as well as the Eid-ul-Fitr meal, are distributed, in addition to the Iftar box contained bread, dates, sweets, steamed rice, vegetables, apple/orange, juice and water etc. On a yearly basis, during the holy month of Ramadan, Al-Hind Educational & Welfare Society provides social assistance for downtrodden families Orphans, street children, widows disabled people and many other needy living below the poverty line receive Ramadan packages to enjoy the beauty of the blessed month. 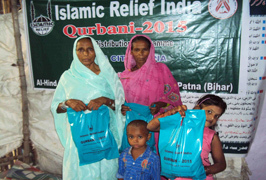 The Ramadan meals, as well as the Eid-ul-Fitr meal are distributed. The Iftar box contained bread, dates, sweets, steamed rice, vegetables, apple/orange, juice and water etc. and Distribution to Eid Cloths to Orphan and poor. 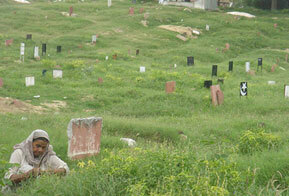 Construction / Renovate of Graveyard. To make land available for graveyard in order to perform last rites of orphans or unclaimed dead bodies, fencing, repairing and maintenance of graveyard and to provide financial assistance for performing last rites. Designed by Savvysouls Softlab Pvt. Ltd.